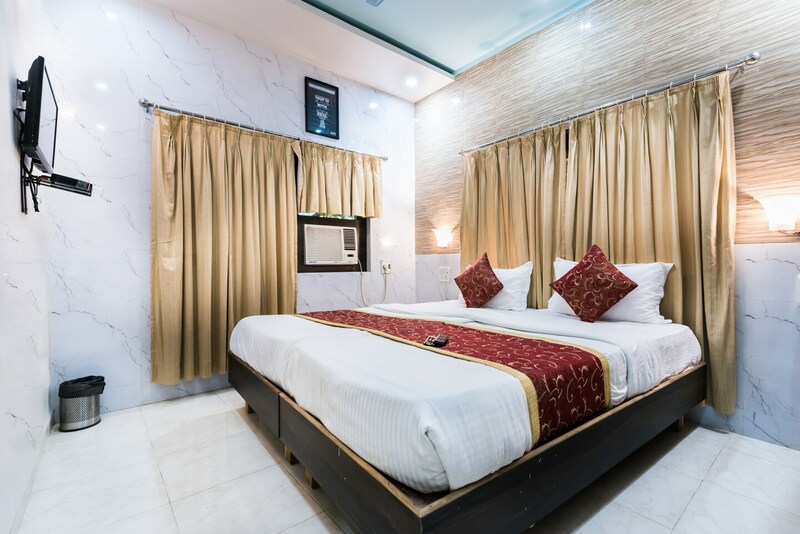 The Hotel Panchratna in Old Panvel City of Mumbai is regal and elegant, with numerous amenities to ensure that guests are relaxed, rejuvenated and refreshed. The rooms are done in beautiful bright shades, making the space feel elegant. The marble floors and long flowing curtains add style to the rooms. Modern art is featured on the walls of the rooms and the furnishings include wardrobes, desks and chairs. The hotel offers a common seating area, dining area, conference hall, banquet hall, free WiFi connectivity, power backup and parking facility. Hotel Panchratna also has a spa, where guests can unwind and pamper themselves.